MANILA, Philippines – LET RESULT. 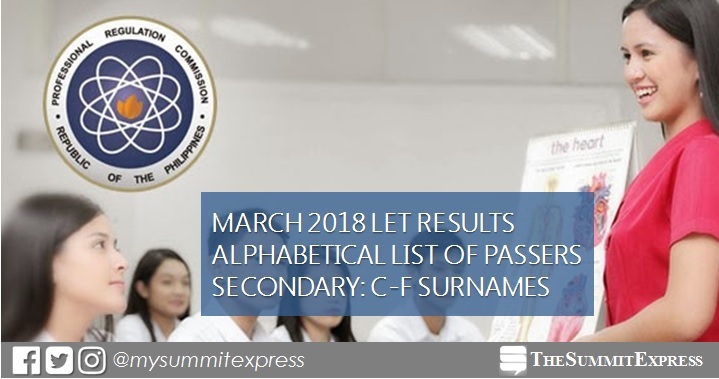 The Professional Regulation Commission (PRC) on Wednesday released full results of teachers board exam conducted on March 25, 2018 in several testing locations nationwide. Takers may view on this page the alphabetical roll of passers for C to F Surnames (Secondary).